CatholicCare - News - The baby bombshell. A new little girl was born into our extended family the other day- a precious little bundle whom we can’t wait to hold and love. Now, my children are almost all teenagers, but I still remember those early days of parenting- the joys and trials, the highs and lows. For our first child, I distinctly remember feeling like a “love bomb” had exploded in our lives and in the lives of our families. For a majority of couples however, the grenade that goes off at the birth of their first child can cause their relationship satisfaction to plummet. There are so many things to consider when we bring that bundle of joy back home and something that often falls to the bottom of our list is the relationship with our partner. Enter John and Julie Gottman to help. When relationship researchers and experts, John and Julie Gottman, brought their own baby home for the first time they asked the age-old question of “What do we do now?” Despite their years of experience in answering the question “What makes relationships work?” they were in the same boat as every other new parent. In 1998, John was invited to give a talk at a Seattle hospital on what happens to a couple’s relationship at the birth of their first child. To prepare he looked back over data from his love-lab study and the results were astounding; he found that 67% of couples in his long-term study reported a decline in their relationship satisfaction during the first three years of their baby’s life. This begged the next question… what are the 33% (those who are as content or more content with their relationship after the baby) doing? To answer this question, Gottman first linked with research being conducted at the University of California, Berkeley in which support groups were run for couples in their last trimester of pregnancy. These couples were compared with a control group who were not offered the group experience. This study, by Carolyn and Phillip Cowan, showed that the couples who attended the groups benefitted in many ways but primarily in the understanding that the stresses and struggles they experienced were not the result of a “bad” relationship, nor unique to them, but rather because of the stresses and strains of new parenthood. Inspired by this study John and Julie designed their own workshop now famously known as “Bringing Baby Home” combining their knowledge of the principles of strong relationships with some new material tailored to the needs of new parents. In the last 20 years, numerous long-term clinical studies have been performed to assess the workshops effectiveness and the results have been wonderful: couples who attend the workshops have higher relationship quality, less interpersonal hostility and significantly lower maternal post-natal depression and baby blues (22% compared to 66.5% in the comparison group). Becoming a new parent can be very stressful. The first study to show this was conducted by E.E. LeMasters back in 1957 and indicated that 83% of new parents reported moderate to severe crisis in the transition to parenthood. This number was so high the results were initially dismissed; however, 16 subsequent studies have confirmed the findings- parenthood can be tough and, for the majority of us, stress can take over. Parents can be irritable, emotional and prone to conflict. Things get busy with a new baby in the house- feeding, changing, cleaning, settling then repeat- all of this to the soundtrack of crying. Sleep deprivation, uncertainty, increased responsibility and, perhaps, decreased income is all a recipe for stress and with increased stress comes conflict- in fact research shows that conflict increases eightfold following the birth of a baby. But babies also bring great joy, and the chance to create a family legacy that can have positive emotional, social and physical effects. When we understand that stresses, conflict and strong emotions are part and parcel of life with a new baby and not the result of a relationship spiralling downwards, we can reframe our thoughts and actions and learn new ways to keep our relationship healthy. One of the things the “Masters” of relationships (33% of couples) do is to take time to delight in their baby. One of the ways they do this is through loving touch: babies and children crave physical comfort when they are upset. Psychologist Tiffany Field showed this to be true through a study of 60 verbal and 60 physical forms of comfort. Of the verbal forms only three worked to comfort young children while 53 of the physical forms did the trick! Field pioneered a form of baby massage with her own premature baby showing that, when parents massaged their premature baby for 15 minutes a day the baby’s weight increased by 47% in ten days. Another way the Masters enjoy time with their babies is through face to face play. To be effective, play needs to be emotionally warm and responsive to baby’s cues. Calm, quiet, imitative play helps avoid over-stimulation. Moreover, once an argument is over, the Masters make an effort to repair and even debrief- looking for ways to fight fairer in the future. • How can I be a better friend to you? • What do you enjoy about being a dad/mum? • What are you missing the most since we became parents? • What do you value most about your life now? • What are some of your life dreams now? • What kind of person would you like our baby to become? • What are some of the biggest challenges for you as a dad/mum? • What could we do to have more fun in our life? The Masters combine these with a good dose of appreciation for one another, acceptance of each other’s parenting style, time for fun and affectionate touch. Male communication, play and parenting style and their life perspectives make fathers invaluable in the lives of children. Children with actively involved male role models have higher verbal ability and IQ scores and better academic performance. Gottman suggests that there is a “magic formula” at work here and the magic is warm, emotionally accessible and responsive fathering. He goes on to say that “on the other end of the spectrum, a harsh, cold, authoritian and punitive (male role model) can greatly damage… kids’ emotional and intellectual development”. 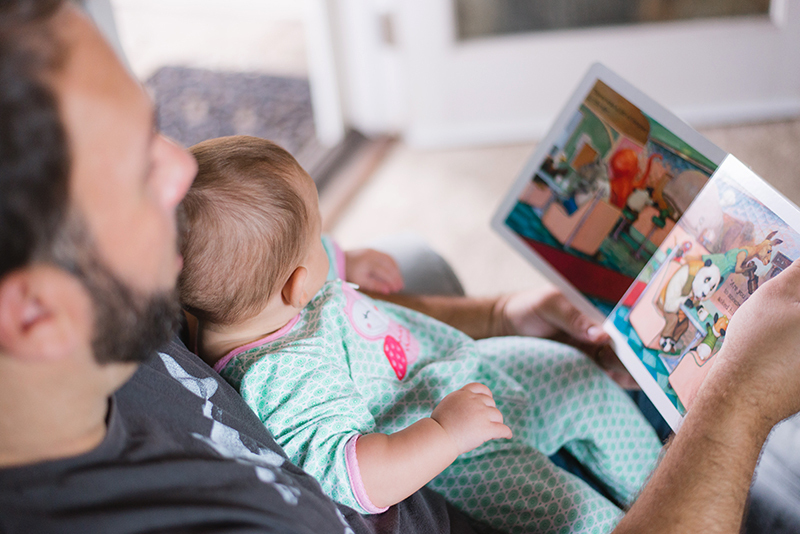 Closer to home, a University of Western Australia review of 18 studies indicate that father’s engagement positively affects the social, behavioural, psychological and cognitive outcomes of their children. 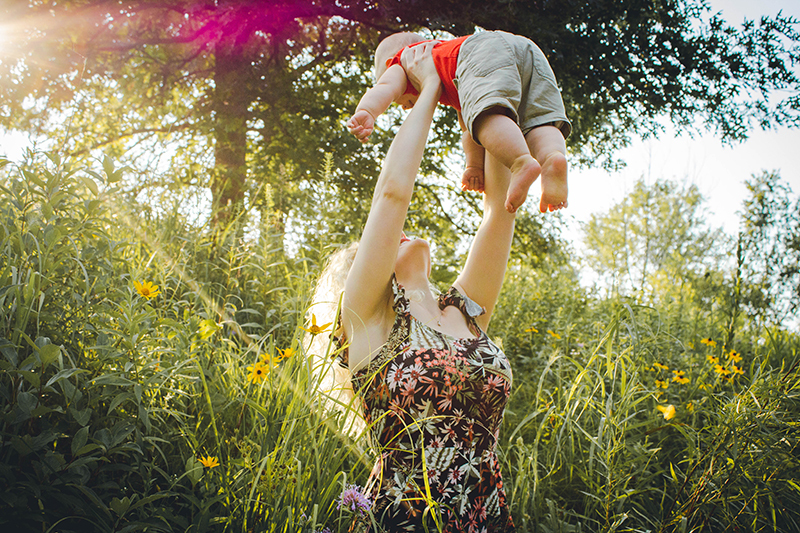 The study that lead to the Bringing Baby Home program showed that the Masters work together through the ups and downs of life with their new arrival by focusing on their family goals, clinging to their values and making every-day moments meaningful. Family stories and rituals are important as are shared values and beliefs. All of these aspects create a family legacy or culture which strengthens a relationship and creates a safe and nurturing environment for children. Gottman tells us that “The real cradle that holds the baby is the emotional climate between the new parents” - incorporating these six ingredients into your relationship will ensure the climate is warm, supportive, enjoyable and loving. Interested in attending a Bringing Baby Home session? 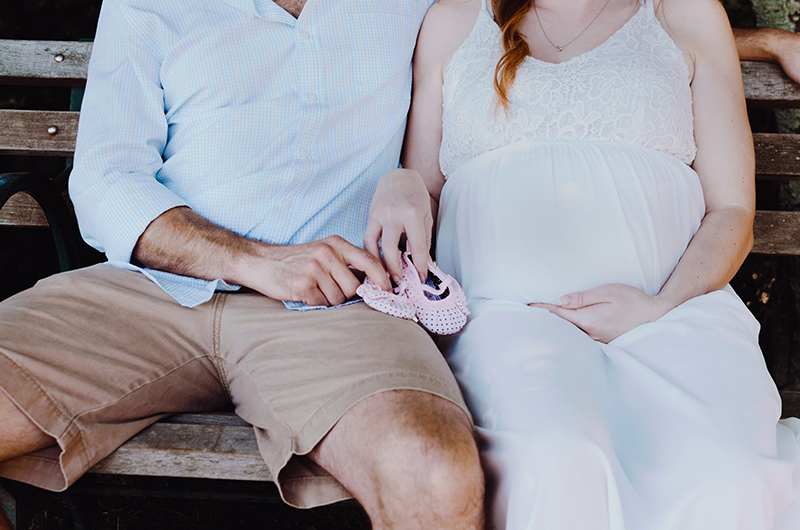 We welcome expectant parents as well as couples with newborns! Find out more here or call us on (03) 9287 5555.